I knew it would happen eventually: the Daf Yomi schedule has finally caught up with me. I decided long ago that I’d prefer to let Daf Yomi come to me, rather than my running after it. I’ll just keep plugging away at whichever massechet I’m working on, and eventually, like the broken clock, I’ll be right on time. And now it’s happened: for 24 hours, I was caught up with Daf Yomi! 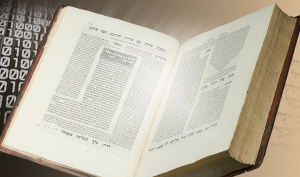 The opportunity to go over the first sugyot in Massechet Sanhedrin reinforced my appreciation for the way the Talmud integrates legal issues with meta-legal issues. To the best of my knowledge, no other legal system manages to integrate psychological and moral issues so seamlessly with normative legal guidelines. This integration is accomplished by the masterful interweaving of legal discussions (midrash halakhah) together with the allusive power of narrative story-telling (midrash aggadah). The combination allows the text to speak to different levels of the mind and heart at the same time. And so it came as a surprise to me to learn that some prefer to reduce the Gemara to a mere compendium of law. Some years ago, a friend who was studying at a prominent yeshiva in the U.S. told me that his Gemara teachers tended to skip over the aggadic portions of the Gemara altogether. “But how are you expected to learn all the unteachable rules of p’sak if they don’t teach the unteachable bits?” I asked. My friend may be forgiven for not quite grasping the subtle erudition of this question! So here’s an attempt at a bit more clarity. In Massechet Sanhedrin (6b) we find a curious dispute. The Mishna states that just as a criminal case requires three judges, so does a p’sharah, or mediation. In other words, a compromise is on a par with a regular legal case and can be decided upon by a formal court. Rabbi Eliezer, son of Rabbi Yosei HaGalili, says: “It is prohibited to mediate a dispute; and anyone who mediates [habotze’a] a dispute sins; and anyone who blesses the mediator is cursing God. Of this, it is stated: ‘And the covetous [botze’a] blesses himself, though he despises the Lord.’” (Psalms 10:3). Rather, true judgment will prevail at all costs and metaphorically pierce the mountain, as it is stated: “For the judgment is God’s” (Deuteronomy 1:17). And similarly, Moses would say: Let the judgment split the mountain! ר”א בנו של רבי יוסי הגלילי אומר אסור לבצוע וכל הבוצע ה”ז חוטא וכל המברך את הבוצע הרי זה מנאץ ועל זה נאמר בוצע ברך נאץ ה’ אלא יקוב הדין את ההר שנאמר כי המשפט לאלהים הוא וכן משה היה אומר יקוב הדין את ההר. That’s pretty stark! “For Truth should split the mountain.” To compromise means playing fast and loose with the truth. In a financial dispute, a compromise essentially amounts to stealing from whichever of the two parties is actually in the right, and giving to the party that is in the wrong. Mediation is an alternative to bringing the case to a fair judging—it is a situation where a rabbinic law undermines d’orayta law and even supersedes it. Yes, a compromise might be more convenient for both parties, but on what basis can we allow convenience to supersede halakhah? Rabbi Yehoshua ben Korḥa says: It is a mitzva to mediate a dispute, as it is stated: “Execute the judgment of truth and peace in your gates” (Zechariah 8:16). Is it not that in the place where there is strict judgment there is no true peace, and in a place where there is true peace, there is no strict judgment? Rather, which is the judgment that has peace within it? You must say: This is mediation, as both sides are satisfied with the result. רבי יהושע בן קרחה אומר מצוה לבצוע, שנאמר אמת ומשפט שלום שפטו בשעריכם. והלא במקום שיש משפט אין שלום ובמקום שיש שלום אין משפט! אלא איזהו משפט שיש בו שלום? הוי אומר זה ביצוע. וכן בדוד הוא אומר ויהי דוד עושה משפט וצדקה. והלא כל מקום שיש משפט אין צדקה וצדקה אין משפט! אלא איזהו משפט שיש בו צדקה? הוי אומר זה ביצוע. Making peace is not halakhah per se, and yet, here the common good of a community—peace and social harmony—is set above the strict letter of the law. So much so, in fact, that dayanim are instructed to suggest to the disputants that their dispute be resolved through mediation. Meta-halakhah supersedes halakhah, and it does so within a halakhic context! MISHNA: The residents of a courtyard can compel each inhabitant of that courtyard to financially participate in the building of a gatehouse and a door to the jointly owned courtyard…. GEMARA: Is this to say that a gatehouse is beneficial? But wasn’t there that pious man, with whom the prophet Elijah was accustomed to speak,who built a gatehouse, and afterward Elijah did not speak with him again? גמ’ למימרא דבית שער מעליותא היא והא ההוא חסידא דהוה רגיל אליהו דהוה משתעי בהדיה עבד בית שער ותו לא משתעי בהדי . According to the Mishna, in the case of a shared courtyard, a homeowner can be compelled by his neighbors to participate in building a gatehouse. From this it is clear that a gatehouse is a home improvement, which increases the value of the property. After all, no one can compel a person to chip in on something that will ultimately decrease his property value. And yet, the Gemara immediately following presents the case of a certain “hassid” who was wont to speak with Eliyahu haNevi. When the man built a gatehouse for his courtyard, Eliyahu stopped visiting him. Why? One can think of plenty of reasons. The gatehouse is the classic example of a layer of bureaucracy between a person and his society. Anyone in need of help, alms, or whatever is going to be stopped cold by the gate guard, who has no stake in the matter whatsoever. But more, the homeowner has surrendered a measure of his free will. How so? From now on, even if he wanted to help the man in need, he has lost the chance of doing so, because he will never know that there was such a man! He has cut himself off from the community. Now these are things on which one cannot put a monetary value. One can say that the gatehouse increases the property value by x amount. and that is something that the Mishna can speak to. But the loss of free will? The effect that distance has on the psyche of the homeowner? None of these things can be quantified in shekels. It is beyond the scope of the law. But it is not beyond the scope of the mesorah. And this is what the aggadah comes to teach us. This is a pattern in the Gemara: a halakhah teaches us what we should do, can do, and mustn’t do, but this is paired with an aggadah (often opposed to the straight halakhah) which teaches what we should want to do. The halakhah rules for the situation as it is; the aggadah tries to make the situation better than it is. But what is Eliyahu doing in this story? 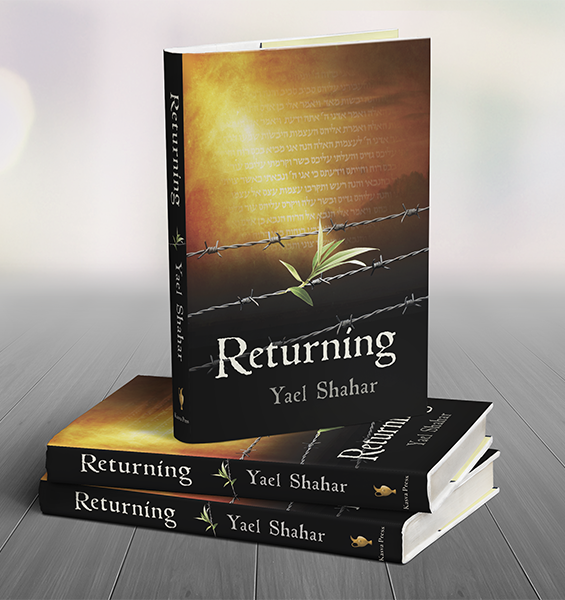 Eliyahu is a liminal character, a person caught between life and death. He shows up at the border between light and shadow. In midrash, he is always a denizen of the gray zone beyond the reach of formal legislation, and often beyond the reach of rational thought. In this realm, reason is far out of its depth, a futile attempt to codify a vast sea of pre-rational moral and emotional behaviors; we know what is right without thinking, but cannot explain our choices in rational terms. Whenever things are not clear-cut, there Eliyahu calls the shots. But more, whenever there is a difference between what is legal and what is moral, there we find Eliyahu making the ultimate judgment call. Not for nothing are certain legal disputes set aside for Eliyahu to settle in messianic times. Look closely at these matters and you’ll see that most of them—the vast majority—are issues where conscience will decide differently than would the strict letter of the law. In messianic times, these matters will be decided by Eliyahu—that is by conscience. So the question is: what time is it? Are we living in a time when our conscience is meant to judge? I don’t know the answer to that but I can say that our age is marked by an ascendency of conscience. What is not new is the meta-halakhic integration of the unteachable, non-rational claims of conscience with the strict needs of legislation to guarantee the stability of society. 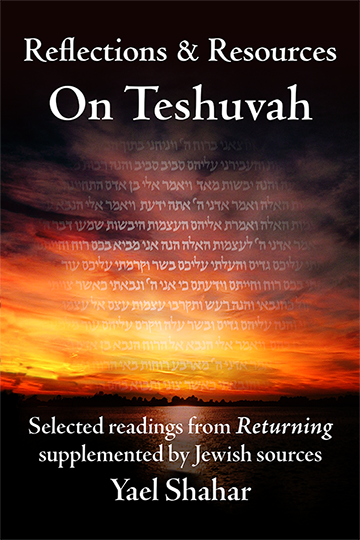 Throughout the Talmud we find midrash juxtaposed to halakhah, p’sharah juxtaposed to din. The appeal to meta-halakhah is not a venture beyond the mesorah. There is room in the mesorah for both halakhists and aggadatists—for poskim (who work subtle changes in halakhah over time via case law), and for philosophers, who change the climate in which poskim work. Which of these is primary: aggadah or halakhah? It may be meaningless to ask such a question, but it seems to me that aggadah is the foundation for halakhah, in the sense of being prior to the self-conscious institutions of legislation, much as empathy is the foundation of self-conscious behavioral norms. As if to emphasize this point, the Torah begins with aggadah!